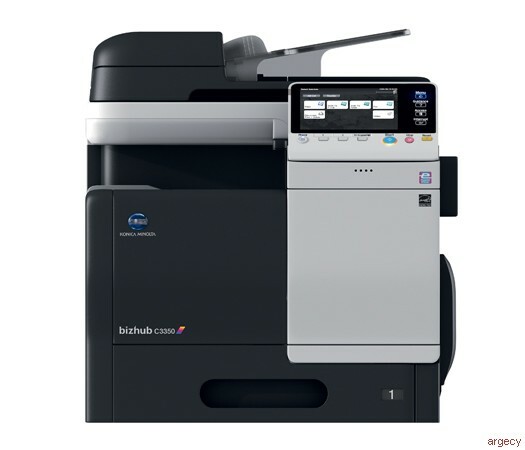 For high-quality, cost-effective color that never slows you down, the bizhub C3350 combines print/copy output of 35 ppm, advanced scan capture functionality and touch-and-swipe control convenience in compact dimensions to fit any office space - with simple networking for mixed MFP and desktop environments. Original format Max: up to 8.5" x 14"
DK-P03 Copier desk Provides storage space for print media, etc. WT-P02 Working table Off-line stapler placement, etc.